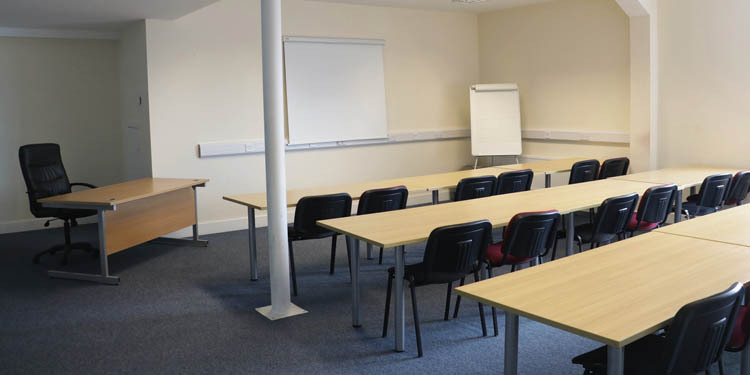 Fully equipped, FAS approved training rooms available for short or long term courses. Layout can be configured to suit your requirements – whether classroom, u-shaped, conference, or computer training, using the data points which are located all around the periphery of the rooms. As well as wired broadband throughout, facilities also include TV/DVD, projectors and integrated screens, along with a separate tea-station which is equipped with coffee/tea making facilities, fridge and microwave. Or for seminars, business meetings, and product launches – you can contact the on-site ‘Riverwalk Cafe’ for any breakfast/lunch arrangements you wish to make. – whatever your room requirements, talk to us to discover how we can make it work for you!